Welcome to the first edition of Fantasy Friday. 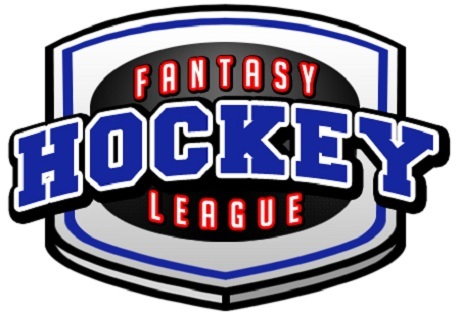 Here you will find stats, analysis, and predictions to help your fantasy hockey team succeed. With the trade deadline approaching on Monday, February 27th, it is a good time to assess your team and to decide which players you should keep and which ones you should drop. It also signifies a possible shake-up in your league. If a star player is traded to a struggling team in the NHL, that team’s stats could drop, giving your fantasy team the chance to take the lead. Picking up that one free agent could make or break your chances in your league. 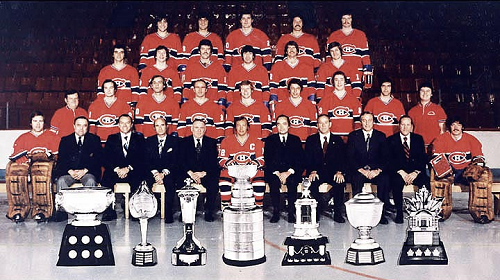 So with that in mind, enjoy the first Fantasy Friday article of Hooked On Hockey Magazine. Ilya Kovalchuk – NJ – Kovalchuk and the red-hot New Jersey Devils are on a roll. He now has 16 points in his last 8 games played. In that time, the Devils have gone 6-1-1, much to the help of Ilya and his linemates. While New Jersey continues to win games, picking up a player such as David Clarkson (4G 4A last 8GP), could work well in a rental situation. Clarkson plays the Powerplay and typically takes 4-5 shots per game. His stats have significantly increased since the Devils’ surge. Sam Gagner –EDM – The Edmonton Oilers may be looking to deal Gagner in the upcoming weeks to a contender in return for prospects/draft picks, and likely a top defender, a category in which they are lacking. With their core consisting of Taylor Hall, Ryan Nugent-Hopkins, Jordan Eberle, Ales Hemsky, and Shawn Horcoff, the Oilers have a ton of goal-scorers that are young and will be with the team for the long-run. Gagner has been on fire recently, scoring 8 goals and 7 assists for 15 points just in the month of February so far (6 games). His trade value has definitely increased. If he is still available in your league, don’t waste any time in acquiring him. If he is traded to a contending team, expect those numbers to increase even more. Jordan Staal – PIT – Staal is now back on the Penguins, and he has not wasted any time returning to form. He has 2 goals and 1 assist in his first 3 games back. With Crosby still out indefinitely and the Penguins playing some great hockey, he will be relied upon heavily in the stretch to making the playoffs. Brent Burns – SJ – Burns is a tough player to predict. He’s a great defensive defenceman but can put up the numbers at times as well. However those times are hard to predict. But when he’s good, he’s really good. And right now, he’s really good. In his last 6 games, he has 1 goal and 9 assists for 10 points. His +/- in that stretch is -2, but it’s an acceptable stat unless your team is struggling in that category. He plays an average of 22 minutes per game and would be a great pickup. Luca Sbisa – ANA – He’s been an assist machine the last 9 games racking up 1 goal and 5 assists (17 A 20 P for the year). Anaheim is pushing for the 8th spot in the West, so look for them to rely on their young defencemen to step it up even more. In the 9 game stretch he’s a +6, which reflects the Ducks’ play of late. He may not be a top pairing d-man but he can be a useful asset to your club. Injury Alert: Jimmy Howard – DET – The injured Jimmy Howard, according to Fox Sports Detroit, is likely to rejoin the team this Sunday, so be sure to adjust your roster accordingly. He still leads the NHL in wins, despite missing approximately the last two weeks. Unfortunately though, call-up Joey MacDonald will likely be sent back to Grand Rapids to rejoin the AHL Griffins, because Ty Conklin only has a 1-way contract and the Wings have given no indication of moving him. Big Mac’s hot streak was good while it lasted, but once Howard’s back, his time in the spotlight will be put on hold until he is needed again. Jonas Hiller – ANA – As stated earlier, the Ducks are making great strides to make up for their lack of points in the standings. Hiller is 4-1 in his last 5 starts, and it is a good bet that those numbers will stay for a while. Jaromir Jagr – PHI – The legendary right winger has played great up until the beginning of 2012. In his last 16 games, he has managed only 1 goal and 7 assists. Those aren’t Jagr-like numbers, but given the fact that he has 39 points this year, keep him on your radar. Thomas Vanek – BUF – In the past 16 games, Buffalo’s star forward Thomas Vanek has only put up 2 goals and 2 assists, and it reflects in the overall play of the Sabres. He is also a -5 for the year, and this may be a good time to look for a replacement for your roster. Joe Corvo – BOS – Joe Corvo is generally a good producer of points from the blueline, but has failed to produce more than 1 goal since December 10th of last year. The Bruins may be succeeding, but Corvo is certainly not. Francois Beauchemin – ANA – Take Beauchemin off your watch list for the time being. 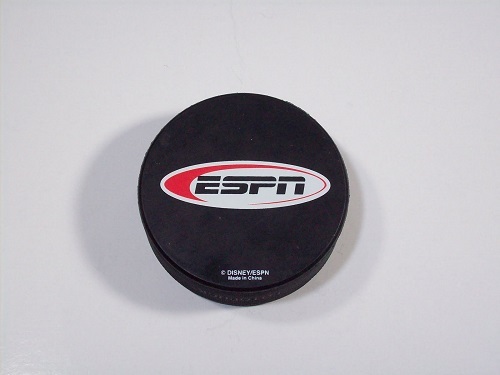 No points in his last 12 GP makes him colder than the playing surface at the Honda Center. 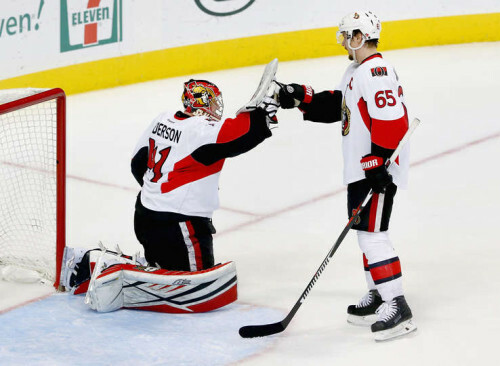 Craig Anderson – OTT – In his last 13 games Anderson has gone 4-7-2 despite playing well leading up to January 16th. The problem is, Ottawa is relying on him too much and he has started 54 out of the 60 games (90%) this year and is no doubt starting to show signs of fatigue. If they continue to put this much weight on him, they can’t expect to win games. One good sign is that he is 2-0 in his last couple games with a 0.978 SP. Play him with caution, and against teams that aren’t playing so well lately. Antii Niemi – SJ – The San Jose Sharks are a strong offensive team. However, their netminder is struggling as of late. He has gone 5-6-2 since January 10th, has given up 4 goals 6 times and 6 goals his last game in this period. He has not been playing his best recently, so use him sparingly. Nathan Horton of the Boston Bruins is still out with a concussion and is unlikely to play in the team’s next 6 games. Tuomo Ruutu, a player that has been mentioned in numerous trade rumors has sustained an upper body injury and won’t play for the next 3 weeks. This may very well impact his overall trade and fantasy value. Ryan Nugent-Hopkins has been practicing the last couple days after missing a long stretch of games due to a shoulder injury. James van Riemsdyk of the Flyers has been brought up in possible trade talks, including the Toronto Maple Leafs. However with his concussion, it is uncertain as to an exact return date. Sidney Crosby’s long-awaited return is still possible this season, as he is continuing to skate with the Penguins. His status remains indefinite at the moment. Mike Green and the Capitals are fighting for 8th place in the Eastern Conference and the return of Green will greatly help his team. 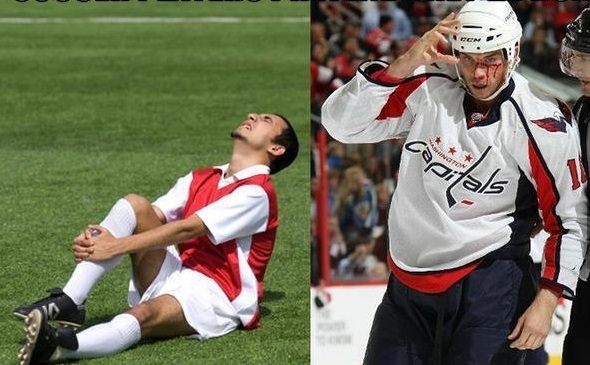 He is still recovering from sports hernia surgery, and has begun to practice with the Caps. Jimmy Howard and Dan Cleary have both been noted as returning to the Wings’ lineup this upcoming Sunday. 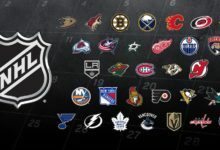 Teams on a cold streak: 4th place Philadelphia Flyers (4-4-2), 7th place Ottawa Senators (3-5-2), 9th place Washington Capitals (3-4-3), 6th place Chicago Blackhawks (1-8-1), 7th place Los Angeles Kings (4-4-2), 10th place Colorado Avalanche (3-5-2), 11th place Dallas Stars (4-5-1), and 12th place Minnesota Wild (3-5-2). You can always benefit from picking up a player on a good team. If that team is on a winning streak, then it is likely that most of the players on that team have a good +/- and good point totals. Don’t let players on bad teams drag you down. Utilize your bench slots for players such as Jaromir Jagr while they are on a scoring drought. Next week’s Trade edition of Fantasy Friday will also include trade rumors and their possible impact on the players’ current teams.